Don Arnold is a registered landscape architect with a degree in Horticulture from Stephen F. Austin State University (SFA) and a Masters degree in Landscape Architecture from Louisiana State University (LSU), a member of the American Society of Landscape Architects, Professional Landcare Network (PLANET) and has 37 years of experience. David Stelzer is a landscape designer and a Certified Landscape Professional with a B.S. in landscape architecture from Purdue University, a member of (TNLA) with 35 years of landscape experience, 12 years with Arnold Landscape Architects. Our crew leaders have a combined 42 years of experience. 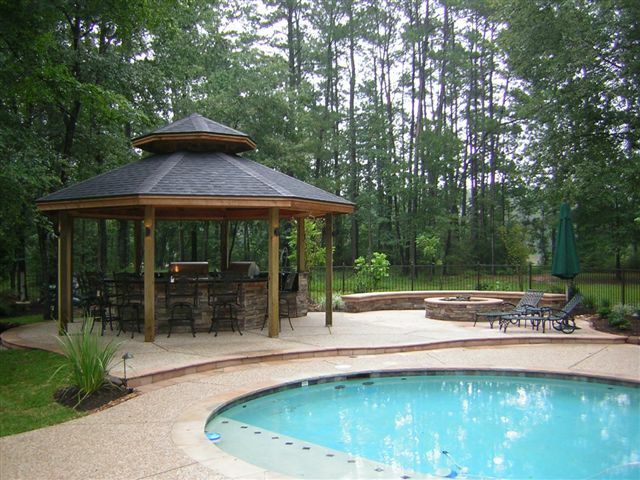 At Arnold Landscape Architects we work together as a team to provide our clients with professional quality designs and installations. When you contact our office, we will collect some basic information from you including contact information, what kind of work you are interested in and how you heard about us. Landscape designs are accomplished through careful listening and observation. •	We will listen to your objectives and endeavor to understand your landscape dreams. •	We will walk the property with you, taking notes and listening. •	We will ask questions to help bring the outdoor picture into better focus. •	We will discuss your anticipated budget for the work discussed. •	We will discuss whether our design services are appropriate and how they work. We will measure and photograph the site and take notes to prepare a base plan upon which your landscape design will be developed. We will attempt to collect a site survey as well as house plans from your builder or Architect. Landscape design options can range from conceptual to highly detailed plans. A conceptual plan is an illustration that addresses all of the ideas and requirements discussed at our first design consultation. We utilize a combination of hand-rendered and computer generated (CAD) drawings to create your conceptual design. We will meet with you to describe the conceptual plan and to obtain feedback from you. The plan will be revised to the client's specifications. Once the client has approved the conceptual plan we will sit with you to go over the layout of the final design. At this time we will confirm any and all costs and then move ahead to begin construction on your project. Arnold Landscape Architects & Contractors Incorporated is a landscape design and contracting company serving Houston and the surrounding areas of Conroe, The Woodlands, Porter, New Caney, Spring, Kingwood, Atascocita, Champion’s Forest, Montgomery, Cleveland, and Bellaire.